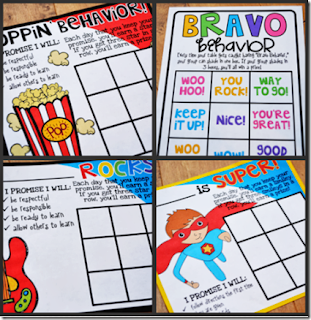 Today I am linking up with the super sweet and talented Joanne at Head Over Heels for Teaching for her Spark Student Motivation linky. What I want to share today is not a motivation tool or trick for classroom behaviour but a way we motivate students to participate in social justice activities (but there is a link at the end to a classroom management tool). Our school is part of the Free the Children network of schools. If you don't know about this organization you can learn more about Craig Keilburger, the founder by clicking here. Coles Notes version - a foundation that works to empower children to make positive change in the world to help other children. One of the big projects Free the Children encourages is their "Adopt a Village" program. 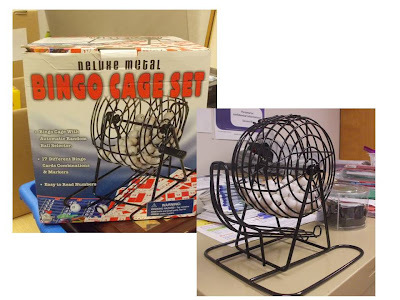 At our school each month students bring in $1.00 (or less or more) to play B.I.N.G.O! That's it the old fashioned game of Bingo. Each student gets a card and numbers are called over the PA system. We have even played all together in the gym - it is big fun (we have student leaders who call Bingo now - but I use to do it and I LOVED it!). The students are motivated to play Bingo to win a small prize and to know that they are helping to build a school for other students. I bought this lovely little Bingo wheel - love the noise it makes. I print off Bingo cards from this site, Print Bingo. You can only print off 5 at a time and then you have to refresh to get 5 new ones - but I like the full page size so we can use math manipulatives as markers. A little time consuming but we have a school set now and we just reuse them each month. I think motivating student to "Be the Change" they want to see in the world today and to become active in making the world a better place today is a great goal to strive towards. Showing them that each small action counts. We did the penny drive at our school and have raised enough money to give clean water to 5 people for the rest of their lives! And since you have made it all the way through that long post I will share you a Bingo like idea from A Year of Many Firsts - click on the picture to head to her blog post to read how she is motivating positive behaviour and pick up her freebie ( she has an amazing blog - I found it very motivating - and her freebies are amazing!). If you downloaded my Bump game freebie on Wednesday I have made a change to the multiplication page. Click here to download it. Your blog, the wheel, the cards EVERYTHING is so darn stinking cute! I'm your newest follower! I can't wait to see more posts. That's great your school takes part in that foundation. Thank you for the link to the cards. They definitely look like something I could use. We haven't played bingo in a while, but it is a classic! What a beautiful project! I love it! I quickly looked to see if there's a branch near me because I'm definitely interested in this idea! (I think it's in California-I contacted them to see what I can do since I'm in FL). I love a schoolwide Bingo on the PA system-how great is that? Going to talk to my principal about that too! Thanks as always for linking up and sharing wonderful ideas!! !